Electric rideables are an exciting hybrid that has captured the imaginations of urban commuters and campus cruisers the world over. And it’s easy to see why. They’re a fun, eco-friendly way to get around. And improvements in battery technology have made them more affordable and lighter than ever before. Still on the fence about going electric? Here are just a handful of reasons why choosing an eRideable might be the perfect option for you. Electric scooters such as Ninebot ES2 and eBikes are easy to use. Most of us are already familiar with their traditional counterparts, the kick scooter and conventional bicycle, respectively. As such, the learning curve for operation is quite minimal – but new riders will need to familiarize themselves with the basic navigation controls for their e-scooter or electric bike. That includes how to throttle, how to brake, how to accelerate and decelerate, among others. Fast, Foldable and Eco-Friendly — Get the S6 Electric Bike! Once you get the hang of your new eRideable, though, you’ll marvel at how much easier it is to get around. You may even wonder how you ever got around without it! After all, eBikes and electric scooters aren’t just easy to use, they also make getting around far more convenient than before – especially for urban commuters. Electric bike cyclists, for instance, can use bike lanes instead of waiting in traffic. Bike racks are now common in most cities, so locking up your eBike will be far quicker – and cheaper – than finding a parking lot or garage and paying parking fees. And for even more convenience, consider a foldable electric bike or e-scooter – no parking fees required. Why not a gas-powered scooter? Cost, convenience, maintenance, noise, pollution . . .
City commuters might also enjoy the newfound breeziness of getting around, especially with an electric scooter or eBike that does most – or all! – of the heavy work for them. Go up hill without breaking a sweat. Arrive back from lunch before your boss even knows you’re gone. Make it across campus to your next class with time to spare. As the price of Petrol continues to fluctuate, reaching £6 per gallon in some cities, more people are turning to public transport to get around. But that train, bus or Tram might not get you exactly where you need to go. You might still have several miles to travel from the bus stop to your office, or from the train station to your school. We call those “last-mile” situations, since it’s the last miles you have to go. E-rideables are proving to be the ideal solution to the last mile problem. For city dwellers, an e-scooter or electric bike can save time and money on daily commutes and quick trips. Electric bikes, after all, are less expensive to buy and maintain than automobiles. 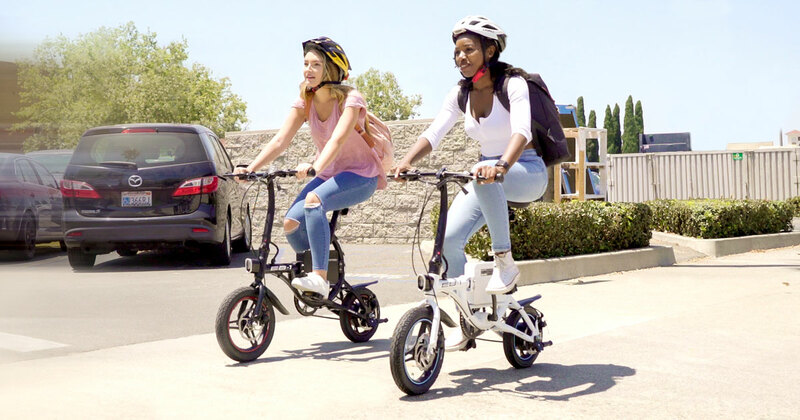 Whether it’s used primarily for your daily commute or more specifically as a means of working out, an eRideable will contribute to a more balanced lifestyle. Electric bikes are particularly well suited to increasing the amount of daily physical activity for a rider — especially for those who benefit from assistance with mobility. 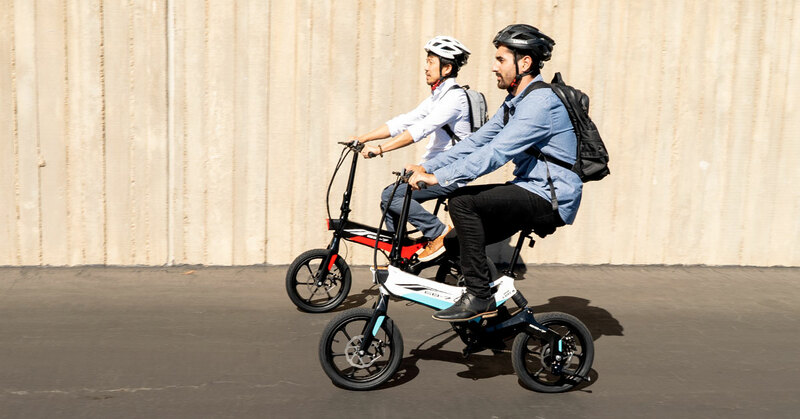 While there are eBikes that are more demanding of physical activity, others are for daily commuting and the motor assistance helps eliminate challenges such as steep hills and headwinds and creates a smoother, less demanding cycling experience. By using an electric bike, commuters no longer need worry about arriving at their destination feeling tired, sweaty or worn out. The bike’s motor takes care of the overly strenuous portions of the ride while still allowing you to mix some physical exercise into your daily routine. For instance, an electric bike with power-assisted pedaling gives riders more control over how much – and how hard – they pedal. This is perfect for cyclists who might need to gradually increase their physical activity. Environmental concerns are on everyone’s mind nowadays. The need to have as small a carbon footprint as possible informs a lot of the day-to-day decisions many of us make. After all, one of the biggest affects you can have on the environment is changing the way you travel. Transportation is the second largest contributor to greenhouse gasses and global warming. Much of this pollution is produced by commuters making short trips from home to work or running errands within only a few miles from home. Switching to an e-bike cuts down on a massive amount of harmful emissions and fossil fuel usage. Do I take the car just to go two miles to run an errand? Do I drive my car to work and deal with traffic and the hassle of finding parking? Or do I hop on the bus, then conquer that last-mile from the bus stop to the office on my electric scooter? To decrease our negative impact on the environment and over-reliance on fossil fuels, cities throughout the Country have been pushing to make public transportation a more attractive option. And this has helped fuel the demand for quality eRideables. After all, electric scooters and eBikes require no Petrol or oil. They emit no pollution while being operated. They require only a small amount of electricity to recharge a battery, making electric bikes an attractive option for environmentally conscious travelers. As demand for eRideables grows, and manufacturers rise to the occasion, electric scooters and e-Bikes are becoming more flexible and accessible for riders of all types. Every person is unique, with specific needs and demands. The growth of the E-rideable market is creating plenty of options for people of all shapes, sizes and skill levels. This can be strongly empowering to those who may have felt like there were no options for getting out and enjoying their world. At the end of the day, this might be one of the most important reasons to buy an eRideable. They’re immensely fun! They are a wonderful way to get around and are, quite frankly, a thrilling experience. Your city gets smaller. Your neighborhood grows. Hills become flatter. The stress of your daily commute transforms into an exhilarating adventure. Your city gets smaller. Your neighborhood grows. Whether you opt for an electric scooter or an eBike with power-assisted pedaling, you’re guaranteed to enjoy the time you spend on it.